Subject: A PLEA FOR HELP. SYSTEMATIC MARKETING CAMPAIGN AGAINST TREATMENT OF WIDOWS IN NIGERIA. On Wednesday August 13th 2003, Nigerians were treated to an absurd drama, which exposed the fragility of our social system and further challenged the rule of law in Nigeria. Ref; www.sunnewsonline.com. The event no doubt was a brazen assault on the sanctity of the Nigerian constitution unfortunately the response of the civil society was callous luke warm and uninspiring. The plight of widows in Nigeria has always given the organization food for thought more so, the ever increasing brazen acts of societys inhumanity to women when they loose their husbands to the cold hands of death irrespective of the circumstances leading to the death of their spouses. We at resources development motivators (RDM) a non- for- profit organization (Non governmental organization NGO) based in Lagos- Nigeria with a proven track record for fund raising has come into this field of endeavor to take up the gauntlet of championing and fighting this social menace affecting the fate of the average female widow in Nigeria and African Woman in Diaspora, suffice it to say that we at RDM also profer advises on how basic developmental projects can be implemented and executed for and on behalf of the beneficiaries thereby making them socially, economically and financially empowered to stand up to there God giving rights as Human beings regardless of there cultural differences and values which after extensive careful evaluation and logical deductions are been considered to be retrogressive, backward and negative inclined. Resources development motivators with it offices situate at Lagos-Nigeria and working in conjunction with some International/Global community based development agencies has been in this business of raising fund for philanthropic and charitable causes for the past seven years and has on its board of Directors/Trustees Women and Men of integrity and honesty in there respective chosen careers and have considered this honorable duty as there perception of social responsibility to society at large. We are of the opinion that having fully adumbrated and sensitized you on the adverse effect of widowhood in Nigeria, we are soliciting and Generating funds and resources to help rehabilitate these second classed citizens in our country Nigeria so that they can also appreciate the essence of living as enumerated by our creator and equally bequeathed with a sense of belonging without feeling alienated and disenfranchised. RDM has been quietly involved in reorientating societies in Nigeria about the treatment of widows and preliminary results from our data base shows our effort has been paying off. Consequent upon this, we look forward to your willfull donations towards eradicaing this anomally within our system. Furthermore, we intend to publish your names and addresses in our almanacs and brochure by the end of the year being our usual practise which would be sent to our beneficiaries and partners. Your letter has come to the right place. 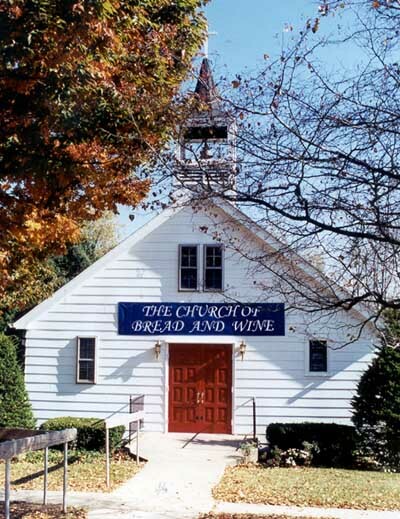 My name is Father Brian Potter of the Church of Bread and Wine (please see a photograph of one of our newest churches attached, we have nearly 300 churches in our ministry). I must say that you are working for a wonderful cause reverend. Our ministry also helps homeless women and children by providing them with new homes, jobs and care. I think I may be able to help you reverend Tokunbo. You see, my ministry regularly makes charitable donations to worthy causes, and after speaking with my committee members just a few minutes ago, we are of the opinion that your cause is indeed very worthy, and if you will allow us we would like to make a donation to your cause to help you in your Godly work with the widows of Nigeria, which I am told is a very Christian and Godly country. Your case seems very worthwhile, and whilst we cannot donate very large amounts ( because we have already made many successful donations this year ) I think that the church would be able to send you the small sum of US $274,330 (two hundred and seventy four thousand, three hundred and thirty dollars). We are usually able to donate larger amounts but at the moment are funds are quite limited as we are at the end of our financial year. This money would be sent to you in a manner of your choosing, and hopefully it would enable you to help the widows and also forward the word of God much more easily. 1. The Church or Bread and Wine will send you a agreement form, which you will have to complete and sign. 2. On receipt of the form, we will require a photographs of you, or a trusted representative as proof of identity. You will have to get a NEW photographs taken, holding two symbol of ours. The two symbols we need you to hold are a loaf of bread and a bottle of wine (the name of our church). This proves that the person in the photograph is genuine. Passport or other photographs will NOT be accepted. If you agree to the two conditions above, we will attach the agreement form for you to complete, and then after that we will explain to you what type of photograph we need from you. Please do not send a photograph until we have explained how we want the photograph to be taken. On receipt of a SATISFACTORY photograph, we will immediately forward the $274,330.00 to you in a manner of your choice. Please let me know ASAP if you are interested in my offer Mr.Tokunbo and I will forward you the agreement for your signature ASAP. "Every man according as he purposed in his heart, so let him give, not grudgingly, or of necessity for God loveth a cheerful giver". So, if you are giving and also asking for identification then it is as if you are giving grudgingly, I personally and my fellow members are doing this selflessly in other to give this widows a lease of life because in Africa widows are treated as outcasts. I owe it as a responsibility to give them a home and shelter to take care of their children and theirselves. I hope you understand that this is a non-government organisation, and we have been doing this on our own for long, from our meager incomes but it is getting too big for us (2,532 widows) that is why we decided to seek foreign assistance. 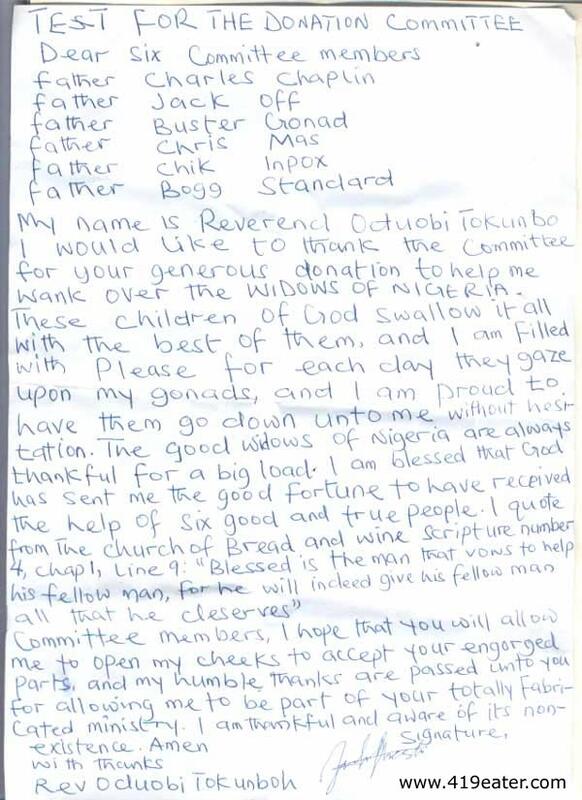 Please sir, the year is coming to an end and we have so many projects at hand, (we are building 25 blocks of flats for them and a church which we have to finish before Nov. 30th) so if you still insist on identification, please explain BETTER HOW WE CAN DO IT and also how soon the money can be remitted. So many individuals and organizations have been donating so yours will be very well appreciated. 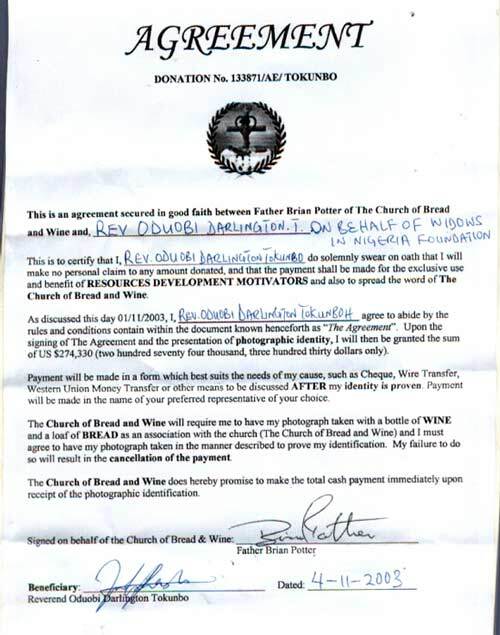 The Church of Bread & Wine will also never associate with dubious activities, so please be assured that unless myself and my donation committee are 100% certain of the honesty and sincerity of a beneficiary, then the money will not be paid. My ministry spends over $13.3 million dollars every year giving away charitable donations to worthy causes. Because of this, sometimes we are approached by dishonest people who try to get money from us by deception, sometimes supplying false identification. 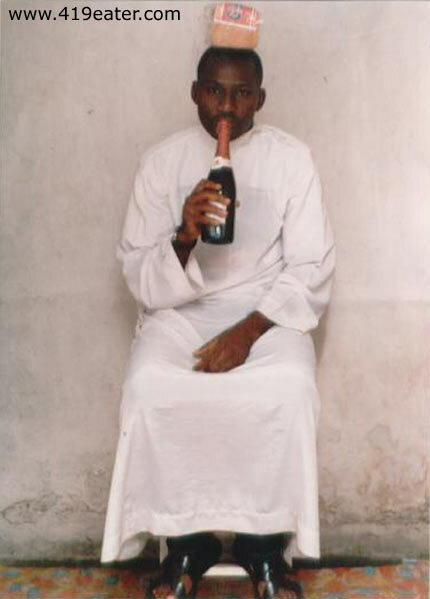 Because of the possibility of people sending false identification, the church now insists that any prospective recipient of our funds MUST supply a new photograph of themselves (or a representative) posing with two icons of our church, in this case BREAD and WINE (as you know, the name of our church is The Church of Bread & Wine). The reason we ask you to pose with these two object is of course because some dishonest people may try to send in false pictures, but it would be almost impossible for someone to find a false picture of a person holding bread and wine together in a photograph. One receipt of your photograph showing yourself (or a representative) holding these objects, we will be 100% sure that the photograph is genuine, this will then facilitate the SPEEDY payment of the donation. Note that until you have completed the agreement, do not send in the photograph until we have explained how the church would like you to hold the bread and wine. In every photograph we ask for, we always ask for a different poses, just to make certain that the picture is unique. I have attached the agreement form for you Rev. Tokunbo Please complete the form and return it to me with your signature. Once I have received the completed form I will then explain how we would like to have the photograph posed. Please note that unless you are willing to comply to the above demands the church will be unable to forward you the donation. The above rules are non negotiable. If you agree to complete the form, and also send in the photograph we require, your payment will be made IMMEDIATELY by whichever payment method suits you best. I hope that the above explanation is helpful. HOW ARE YOU TODAY AND EVERY MEMBER OF YOUR CHURCH HOPE EVERYTHING AND EVERYBODY IS OKAY? I HAVE SENT THE AGREEMENT FORM FILLED BACK TO YOU AND I AWAIT THE NEXT INSTRUCTION FROM YOU. Congratulations! You are now only one more step away from receiving your payment. As you will know, the last step we require is a photograph of yourself posing with to representative items of our church, in this case it is BREAD and WINE. Before I proceed to explain the photograph we need, please understand that the request may seem strange, but it is for this very reason that we will know the image is 100% true. This is how we require you to pose for the photograph. First you will need to gather a BOTTLE OF WINE and a LOAF OF BREAD. You will need to sit in a chair. Place the load of bread on your HEAD, and place the bottle of wine to your MOUTH like you are going to drink it. Then, have your photograph taken in this pose and send it to us. Once our Donation Committee are happy that the photograph is acceptable, I will contact you for the payment details and The Church of Bread & Wine will forward the full payment to you IMMEDIATELY. PLEASE NOTE: It is VERY important that the photograph you attach is LARGE and CLEAR. Small or unclear photographs will not be accepted. Please contact me urgently to let me know when you will be able to send the image so that I can alert the Donation Committee ASAP. The Church of Bread and Wine. thank you very much father for your coperation i will try as much as possible to send it within the next 24 hours. SORRY FOR THE DELAY IT IS BECAUSE OF POWER FAILURE. How are you and your follow men of God doing? Hope okay? may the grace of God continue to follow you, Amen. 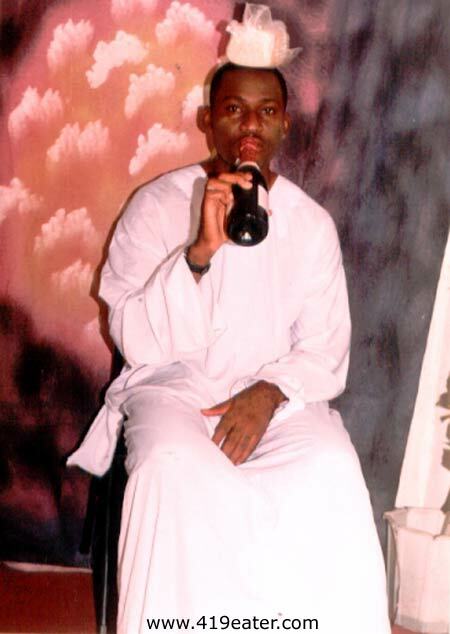 I have sent the picture it is the picture of one our very trusted members prophet jeremiah Akiola [Sure it is Rev!]. We have decided that the money should be sent this way first of all $330.00 (Three Hundred and Thirty dollars) be sent today immediately through Western Union Money Transfer through my name Oduobi Darlington Tokunbo, today and the control number and the necessary information sent as soon as the money is transfered today to this email box. The balance of $274,000 which is the actual bulk will be sent through our account which I'll give to you as soon as we receive the $330.00. Father may God's special grace continue to be with you and your members as you continue in His work. My name is Father Vincent Price of The Church of Bread and Wine. Father Potter has been sent to Coventry on church business and is unable to proceed with this donation procedure until he returns. However, please do not worry as I have been given the full details and I will be handling your case personally. Sir, thank you for the image that you attached, and I will be forwarding it to our Donation Committee later today. I shall also write back to you later this afternoon also. My name is Father Vincent Price. I am the head of the Donation Committee for The Church of Bread & Wine and if you remember I wrote to you earlier today. 1. The committee feel that the bread that you posed with is not a full loaf of bread. It is very important to them that you use a full, large loaf. 2. The photograph itself was quite small. The committee members have directed me to tell you that the image will need to be larger than the one that you sent. I am sorry to pass this news to you Mr. Tokunbo, but as you will appreciate, it is a very large amount of money that we are dealing with and the church must ensure that all donation procedures are strictly adhered to. Please try to get a new photograph taken and sent back to us ASAP. If you let me know the total cost of the photographs I will ensure that this amount is added to your total donation amount. May I offer some personal advice? I suggest that it may be a good idea to have two or three photographs taken in slightly different poses. Doing it this way should ensure that the donation committee will be satisfied with your efforts. father vincen it is so unfortunate that you did not tell me before hand that this picture should be taken in different angles of say three different poses but i want you to undestand that we are not really desperate about this money we have other donors of international repute and they have not been stressing us with this demands . but all thesame i want you to show some seriousness . i will try and send in some more photos but does that mean that you can not send the $330. i'll try my best to send the pictures next week. try and reach me with the $330 information. My apologies, you seem to have misunderstood me. The Donation Committee require only one photograph. It was I that suggested it might be a good idea to send more than one picture from different angles (front/side). I was trying to help you by suggesting that more photographs would be better than one. Again, the committee have only asked for one photograph, but my advice is that if you send more than one then the chances of having a correct picture will be much higher for you. I hope you understand this. I am afraid that until the Donation Committee are satisfied with the photograph then no payment can be sent to you. If asyou say you are not wanting this money, please let me know because I can offer it to other worthy causes. Let me know your decision urgently. thank you very much father for your advice i'll definitely get back to you.soonest. hello father, how are you today? father i dont know why you have not acknowledged the receipt of my PICTURE. please we are very interested in knowing where we stand. please if you are okay with the picture kindly send the $330 to this name ODUOBI .D.TOKUNBOH SO I CAN BE ABLE TO SEND THE ACCOUNT WHERE THE BULK CAN BE SENT. Sorry for the delay in replying to you, but as I have mentioned previously, we have certain procedures that must be adhered to. The picture has now been shown to the Donation Committee and I have to say that they are not a happy bunch. The Donation Committee have decided that if you send them a HAND WRITTEN letter of thanks for their donation then this will clear the way for IMMEDIATE PAYMENT to you of the full amount. 1. The document MUST be hand written. 2. You must SCAN the document. 3. 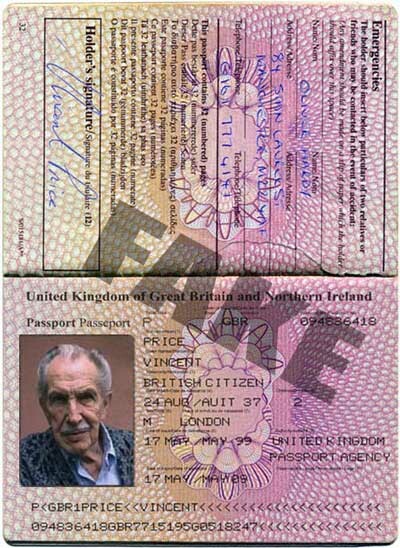 The received document must be scanned at such a resolution as to make the text LARGE, CLEAR and EASY TO READ. If you are agreeable to this then please let me know URGENTLY and I will help you by sending you the text you will need to write. As a gesture of good faith, for your records I have attached my passport image. thank you very much for your kindness and your putting in a word for the widows of nigerian cause please we have tried our best in trying to meet up with the specific picture you are asking for and we dont know how else to do it. but thank you for putting in a word for us all thesame. please send the desired specimen of the hand written letter and we will be more than greatful to send it to you with the necessary instuction on how to send it. Thank you for your email and I am happy that you are in agreement to the final stage of this procedure. My apologies over the delay in these matters but I am afraid some things are out of my hands. Hopefully once your letter is received we can get this matter finalised very quickly. Anyway, please find below the exact text that I suggest you write. I have worded it in such a way that it will appeal greatly to the six members of the Donation Committee. Please be certain to make sure the scan is very large and very clear. I do not want to have the Donation Committee refuse your letter if it is not clear. soory i can not come down to that level because of that money it is not for my private use so after consultations with my fellow members we have decided that the whole thing just does 'nt make sense. if you want to donate to a worthy cause you can donate if you dont want to you can forget about it. No problem. Thank you for your email and I am sorry that we cannot seem to help you. I shall advise the Donation Committee that you no longer require the donation. Your email has come at a fortuitous time as only this morning we have received a cry for help from THE DAVID'S HARP FOUNDATION also in Nigeria who are in desperate need of funds for books and teaching materials. We shall forward your refused donation payment to them once they have completed our procedure. I hope you find help somewhere else. we thank GOD for his mercies,after doing alot of brain storming with the board of trustees and considering this'' Blessed is the man that vows to help his fellow man, for he will indeed give his fellow man all that he deserves". we decided to send the text, so if you are okay with it you can send the $330 on ths name oduobi .d.tokunboh immediately. i hope everything is well with you and the committe members please , why the sudden silence on this issue. sir me and my fellow members are very anxious to know what 's next. My apologies over the late reply but I must tell you there has been some disturbing news. Three days ago, the church received an email from a Dr. David Mbeke, claiming to be a representative of The Widows In Nigeria asking for a donation ( [email protected] ) Of course, I was shocked to receive such an email and so as I have done with you, I asked him to provide proof of his identity by sending me a photograph of himself featuring Bread & Wine. Today a photograph has arrived (I have attached a copy for you) and I have to say that I am very confused because the image seems to me to me genuine. Do you have other people besides yourself working for the Widows In Nigeria Rev. Tokunboh? I have also attached the email which he sent to me. Please explain what is going on? thank you very much for your email , i am not surprised to find out that there is another organisation in nigeria that has thesame ideals and goals we have in our organisation. dear sir i must refer you back to my very first proposal to you when i highlighted the problems widows are facing in nigeria and other african contries, it is a general y surprised to find out there is another foundation sharing our name. GOD bless you as i await your favourable response. I'm afraid that it is impossible to share this payment between two organisations, the United Kingdom charities law (section 4, paragraph 7) forbids this. I have spoken to the Donation Committee and they have decided that the organisation which has the MOST number of employees working for the good cause of the Widows of Nigeria will be awarded the payment without further delay (or course some proof of this may be required). I have spoken to the other gentlemen (Dr. David Mbeke) and explained to him that we will give the money to the organisation who employs the most workers. Dr. David Mbeke tells me that in his organisation there are 17 (seventeen) officers working in his organisation. Rev. Tokunboh, do you have this many or more people working within your organisation? If you do have more (and can prove this fact to me) then I am very happy to send the money to you immediately. Please get back to me very urgently on this matter as the Donation Committee are very eager to finalise this payment very quickly. thank you very much rev for your prompt response actually we have about 20 workers working for us here amd(some volunteer workers too) but i dont know how to prove it to you. Well you would certainly qualify for the donation in that case, however, there has to be some way for you to prove that you have so many workers/members. Are you able to get a photograph of them all together? If so, please let me know. Of course there will have to be some way that you can prove the people that are in the photograph are actually members, perhaps they could hold some kind of evidence. Get back to be ASAP if you can get the photograph taken and I will discuss today with the committee how show proof that your photograph shows workers. It would be good if you could do this because we are needing to get the payment sent as soon as possible. All the committee members take the Christmas break on the 27th of November, so if we could get things completed by then it would save a long wait until after Christmas. thank you very much father vincent for your mail , but i don't know the nature of the photogragh all i want you to ubnderstand is that we will not be able to afford wines and breads. Yes, I fully understand your situation, and I have explained that to buy 20 bottles of wine and 20 loaves of bread will be expensive for you. The donation committee have asked me to ask you if you would be able to get a photograph of all your members each holding a sign with a password phrase on it? If this can be done, please return your email to me as soon as possible and I will speak with my boss to suggest a suitable password phrase. I hope that we can agree on this very urgently Rev. as we really need to get this donation sent to the right person ASAP. please if you are really serious about giving us this donation let us know immediately. you know you have giving us a donation number already. and i told you you we have so many projects on hand. just tell us how you want the photograph taken. Please gather all your workers together. We need EVERY one of the real workers to hold a sign with a password phrase. To ensure no possibility of forgery we require that each individual worker hold a sign with a different password, which when photographed with spell out the name of our church and a message. As explained above, give each of your 20 workers a sign with ONE of the words above, so that when they are all standing together holding their signs it makes the sentence above. If you find that you have some extra workers, this will be very encouraging. Give any extra workers a sign which reads, "I AM A SPARE". Rev. Tokunboh, it is EXTREMELY IMPORTANT that this photograph is VERY LARGE and VERY CLEAR. I am hoping that this will be the final thing that will be needed so that we can send you the payment VERY URGENTLY. Please do not cause any delay by sending a BAD photograph. If the photograph is too small to see each individual worker and sign, we will not be able to accept it. If you do not understand fully what we require above, please let me know and I will try to explain more clearly. Am I to assume that due to your lack of reply that you are no longer interested in the Donation? Please let me know ASAP because if you do not want it I shall forward the payment to Dr. David Mbeke. thank you very much for taking out your time to mail us that means that you still very much have us in mind to give us this donation. sir we have men and women of dignity in the society THAT ARE INVOLVED IN THIS ORGANIZATION that has made up there minds and heart to follow a just cause and we have concluded that it will be too demeaning for them to carry such placards. so sir if you are still interested in giving us this money please do in the name of GOD. Thank you for your email. I am sorry that you have decided not to proceed with this donation procedure. I have no choice but to contact Dr. David Mbeke and award the full payment to him. I shall wait 24 hours just in case you change your mind. If I do not have a positive response from you by midday tomorrow (Friday 28 November) then I shall contact Dr. David Mbeke and ask him for the payment instructions. I wish you well for the future, and I am sorry we can not seem to help you. I am not a preacher, not a father, not a reverend. I am what you might call a scam-baiter. You see, from your very first email I was aware that you were a thief, a scammer, and a liar. I am sure that Tokunboh is not your real name, but that does not matter. Perhaps the two pictures you sent with a loaf of bread on your head and milk to your mouth was not you. Maybe you paid some poor fool to pose for you. That does not really matter to me to me. I made you waste your time and energy to do all this for me. WHAT KIND OF IDIOT POSES WITH A LOAF OF BREAD ON HIS HEAD? !